Strip quilts are so satisfying, and simple to make. they come together very quickly. 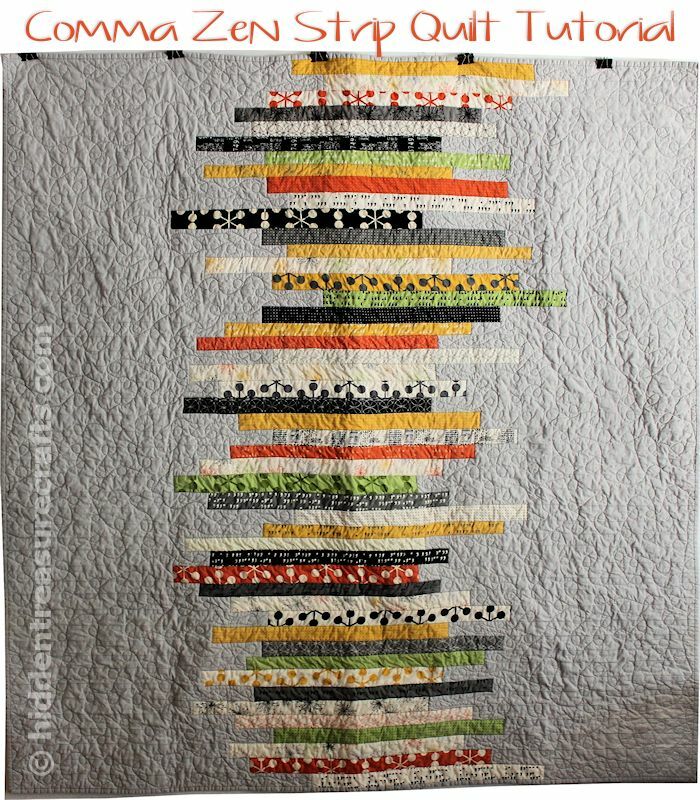 And this Strip Quilt using fabric from Zen Chic is fantastic because there are no little pieces to line up – instead of a traditional “stacked coin” look, these stripes of pattern have a beautiful, disorderly look to them. Perfect for any modern fabrics or modern quilter. A great use for leftover scrappy strips from making another project as well.